Home » Business Trends » Why Study a Bachelor’s Degree in International Relations? 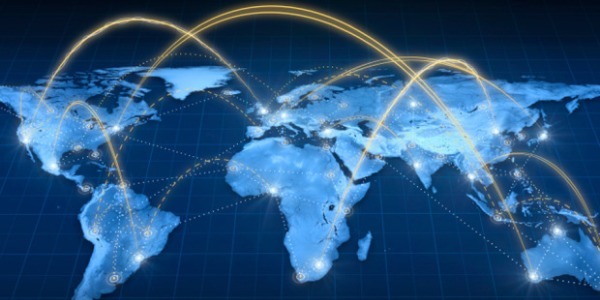 Why Study a Bachelor’s Degree in International Relations? EU Business School students pursuing a bachelor’s degree in International Relations have a number of exciting prospects for finding jobs after graduation, largely due to how attractive a bachelor’s degree in International Relations is – approximately 40% of job advertisements aimed at graduates do not specify a particular course, and a degree in International Relation serves as a strong base in both specific terms and on a more general level. Many key skills and transferable qualities are developed across the course. In addition, the exploration of key concepts and International Relations theories and schools of thought give International Relations students good critical capabilities. For prospective students or those wanting to know just a little more about a bachelor’s degree in International Relations, this blog post takes a look at why it is the right degree for lots of people. This is a well-documented quality of the world we live in. In a more interconnected world, no country or territory can afford to be isolated or set apart from the larger international community. In the future, more and more jobs are going to have an international focus, and an understanding of the relationships between different countries will be an advantage in any number of jobs after graduation. It’s now easier than ever to make friends with people you might never have met physically before. The Internet has made the younger generation of digital natives social in new ways, and given rise to an ultra-connected world where the Internet serves as a web of user-generated content. Through meeting these new people, the younger generation is becoming increasingly aware of new cultures and international issues. Studying International Relations formalizes this knowledge, and paves the way for students to pursue work in areas which they already have an interest in. If you are a person that enjoys looking at large concepts in new ways and challenging existing ideas that are taken for granted, you will probably enjoy studying for a bachelor’s degree in International Relations. Traditional views of a number of large concepts are explored while studying IR, such as the role of states, authority and the economy.